I love uncapping honey. Its a sticky, messy business, and seeing that sublime, golden honey released from its cell, to slowly ooze forth is just glorious. 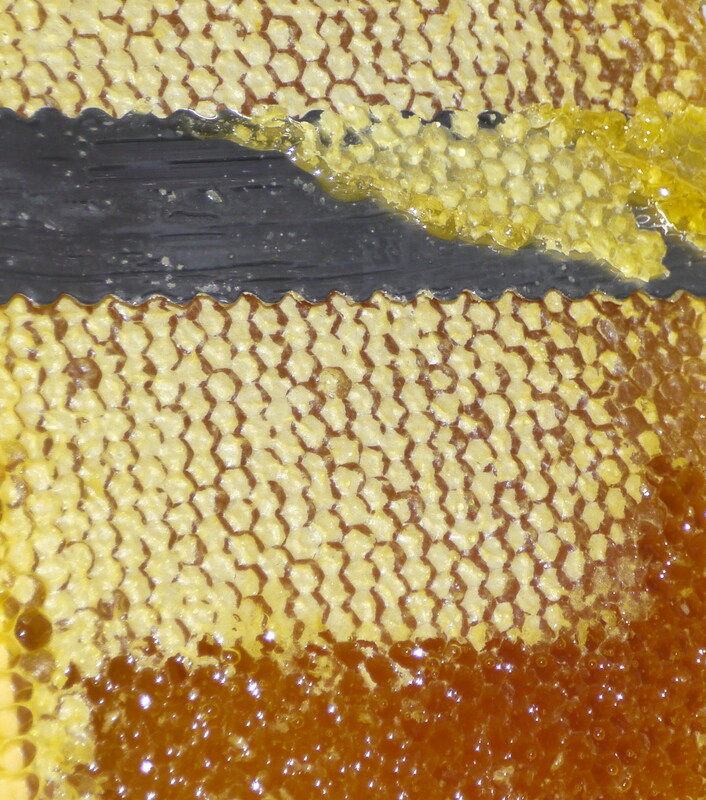 We use long serrated knives, employing a short sawing motion, trying to remove just the topmost layer of wax, without disturbing too much the honey below. 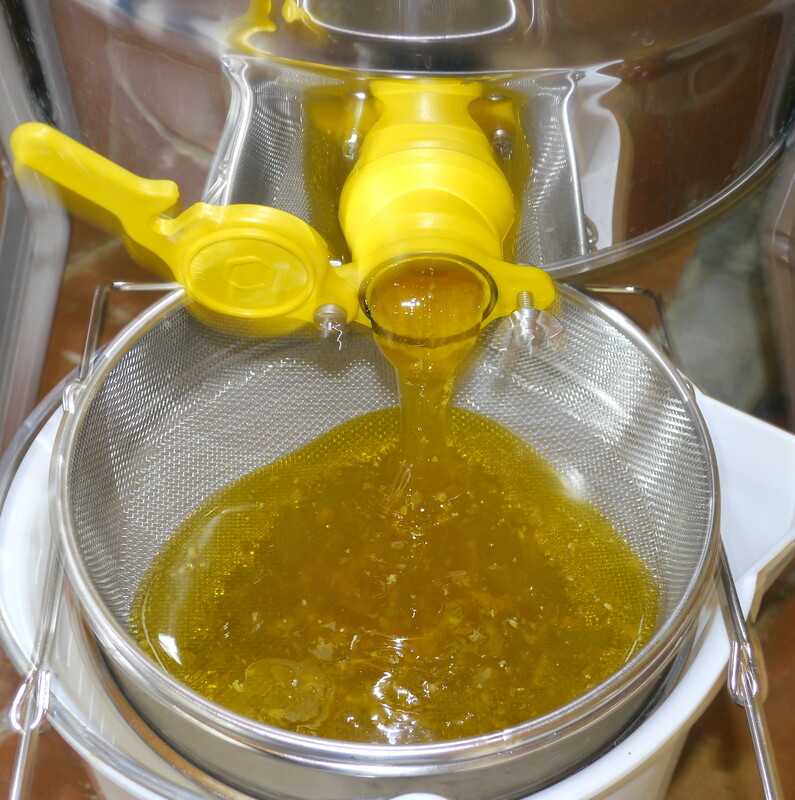 After sieving, to remove bits of wax, the honey is then poured into another plastic tub, to be left to settle. Except for a jar or two for immediate consumption. Jean-Phi seemed keen to do a weigh-in. Last year he had 15 kilos from one hive, this year he managed over 30 kilos from two hives, which to our amateur eyes seems like an awful lot of honey. I’m not going to divulge any of my numbers – suffice to say I have enough to be self-sufficient, but won’t be giving out pots of honey willy-nilly. And I am very happy to report that the honey is utterly DELICIOUS! Glorious! And much cleaner looking than our technique of forking the caps open! Have you ever done a pollen analysis? Is the honey mainly sunflower? Good question. Last year we were totally surrounded by sunflowers, so we made the assumption that it was a monofloral honey. Plus it had the characteristics of sunflower honey, being yellow and crystallising rapidly. This year, it seems a tad darker – and there was just one sunflower field very close by. I do see the bees in the garden on all sorts of flowers and bushes – lavender, mint, buddleia etc, so they must contribute in some way – it would be interesting to know the proportions. Congratulations. 30 kilos is a wonderful bounty. Though it looks so good, I don’t think it’s going to last long! Thanks – it is an impressive haul. 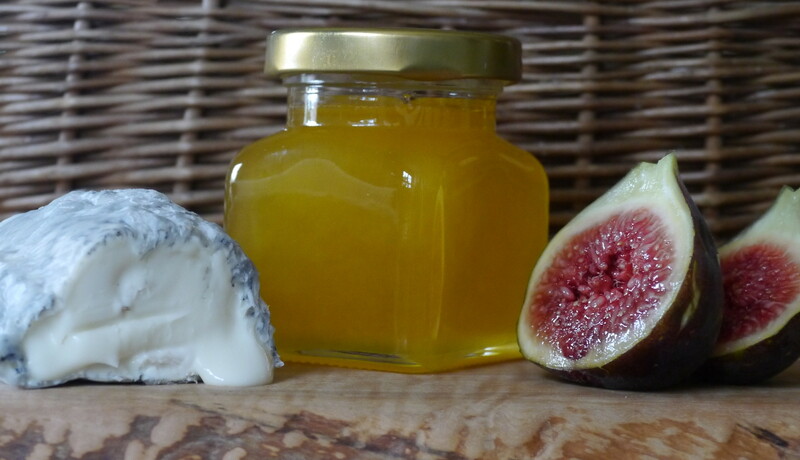 I have just read that honey has more calories than sugar (but is sweeter) – so maybe its best not to gorge it too rapidly. The honey looks a beautiful colour.